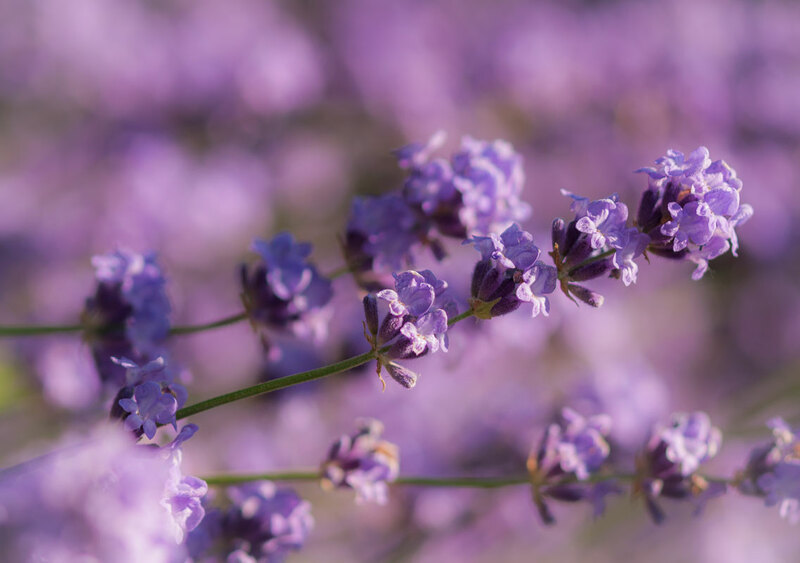 These images of lavender are all about filling the frame with an explosion of colour and not a sharp focus on the flower itself. Please click on the images to enlarge for better viewing or the many links to more info or DIY projects. I love the colour and smell of lavender. Lavender has been known for its gentle and soothing fragrance since ancient times. 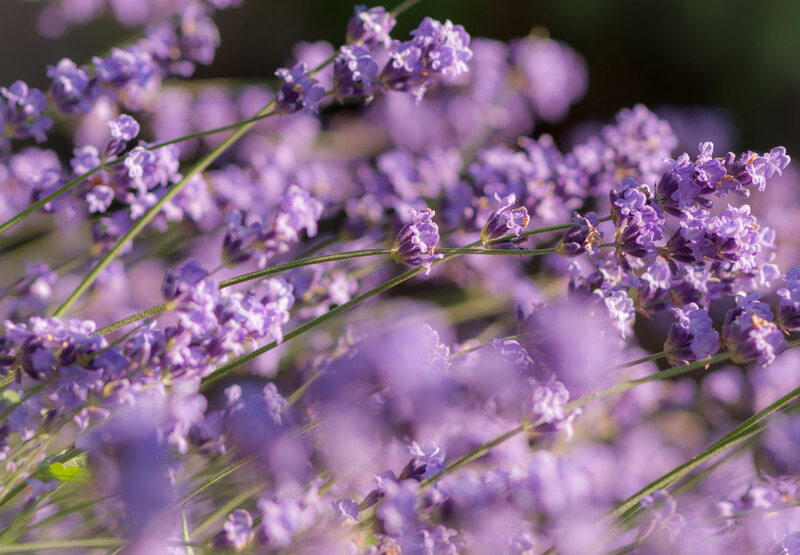 The Greeks and Romans used lavender in the public baths. The word lavender is derived from the Latin word lavare, or to wash. 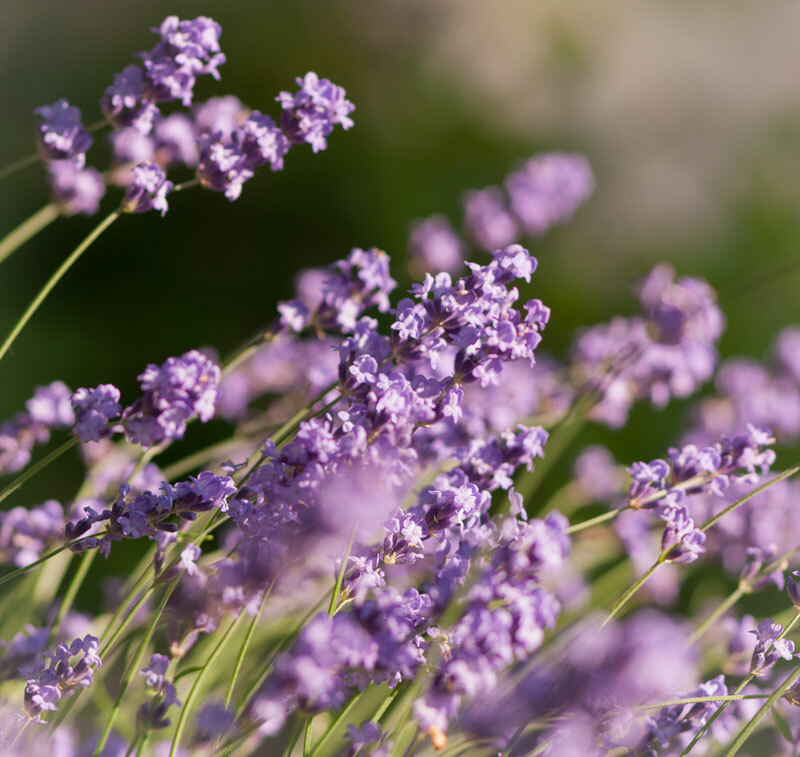 Lavender can be used as part of a natural insect repellent or in a balm for an impending headache. But most often, fresh lavender is harvested for Aromatherapy and Potpourri. You may not realize that lavender can be used to create delicious foods as well! If you would like to try cooking with lavender, check out these recipes: Lavender sugar, Herbes de Provence, Lavender ice cream. Enjoy! These are lovely. Great angle and field depth! What lush lavenders, and so pretty in that light! Yes, I was very happy with the colours. Thanks for dropping by and leaving a comment. Hope you will return again.